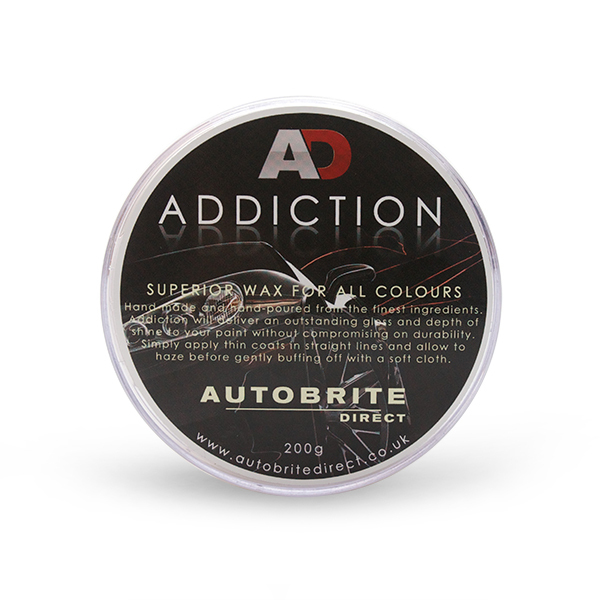 Addiction Carnauba Wax Addiction Carnauba Waxis is hand-made and and-poured from the finest ingredients. Addiction will deliver an outstanding gloss and depth of shine to your paint and provide excellent durability. Black Magic Carnauba Wax Black Magic Carnauba Wax is a premium wax for darker colours. 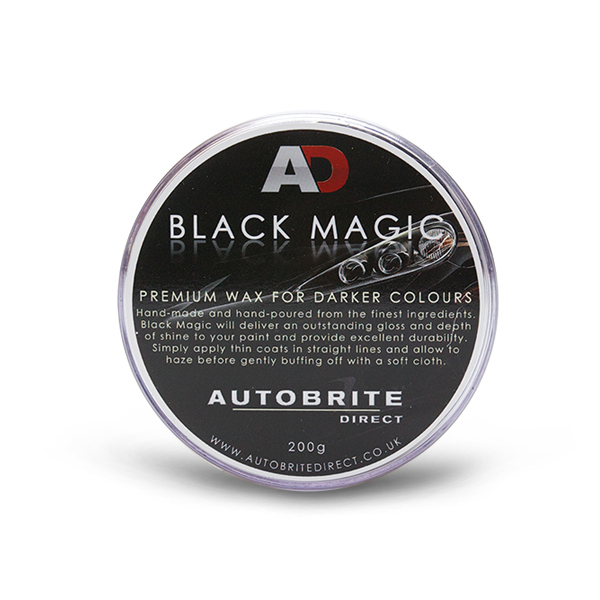 Just like the rest of the Autobrite wax range Black Magic is hand-made and hand-poured from the finest ingredients. Black Magic will deliver an outstanding gloss and depth of shine to your paint and provide excellent durability. 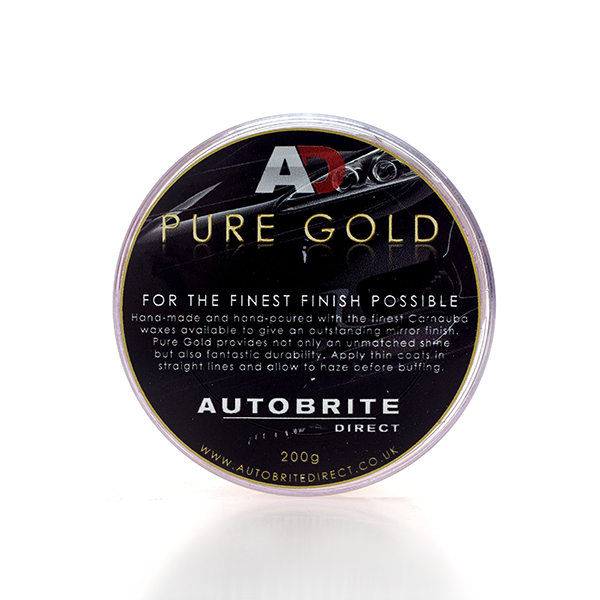 Pure Gold Carnauba Wax Pure Gold 100% Carnauba Wax is a stunning 100% natural wax! With natural ingredients Pure Gold contains over 35% of Pure Brazilian Highest Grade of quality Carnauba making Pure Gold a long lasting Durable wax and leaves a glossy finish. Obsession Carnauba Wax Obsession has been designed to give you the most wettest and deepest shine from our range of waxes! Obsession is a easy on and off Pure Carnauba Wax that delivers pure Gloss and great durability for your car. 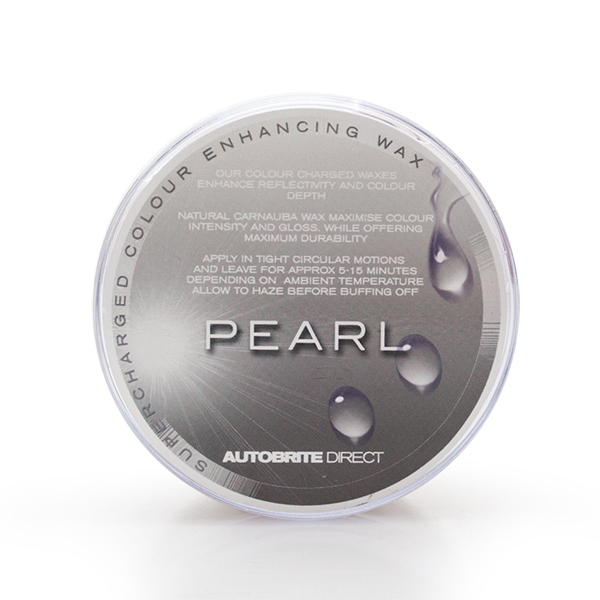 Super Charged Colour Enhancing Carnauba Wax - Pearl Pearl is the white wax that is ideal for all white paint finishes, pure light bright and white finishes. With a unique blend of the finest ingredients available, our waxes are hand poured and hand made here in the UK. 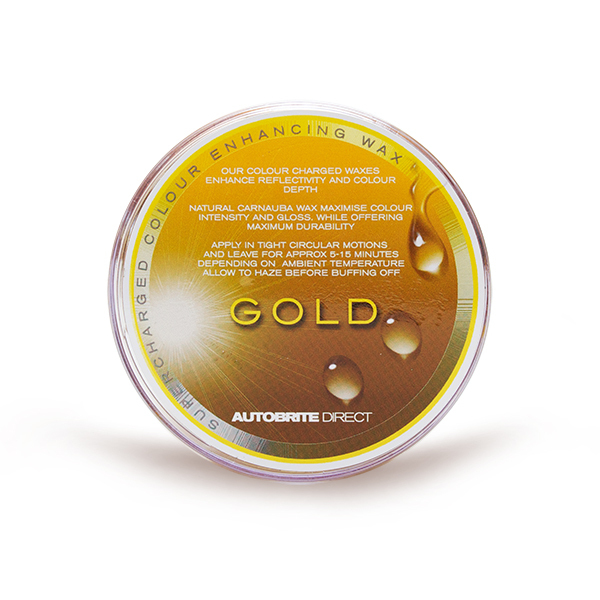 With unmatched shine and depth the Autobrite Direct super charged wax range offers you colour enhancing & colour depth technology. 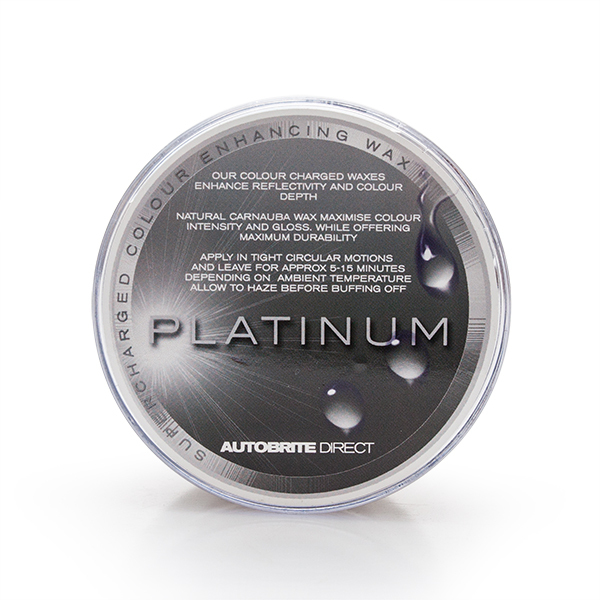 Super Charged Colour Enhancing Carnauba Wax - PlatirumPlatinum is the wax that is ideal for all silver and grey paint finishes, dark and light, and pearls & metallics. 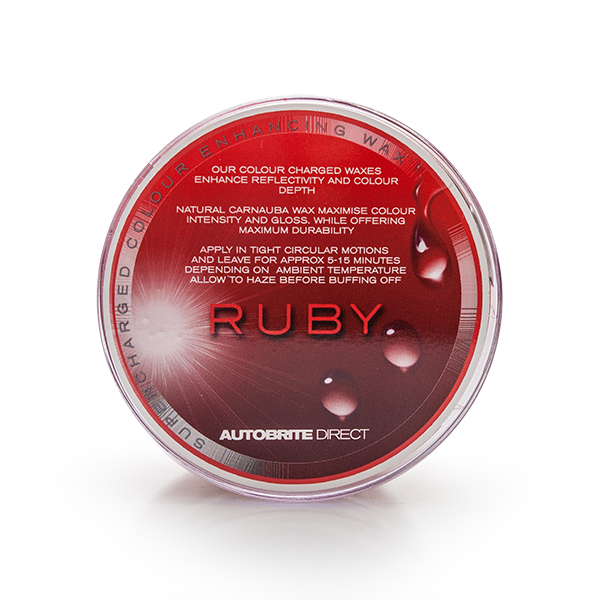 Super Charged Colour Enhancing Carnauba Wax - RubyRuby is the wax that is ideal for all red paint finishes, dark and light, and red metallics. 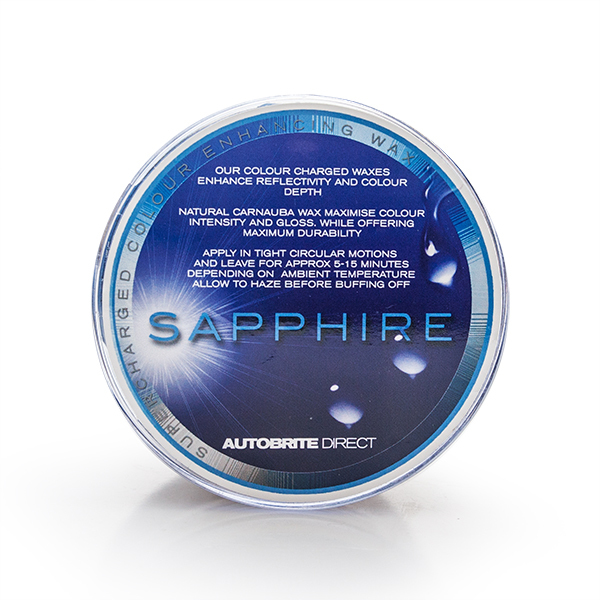 Super Charged Colour Enhancing Carnauba Wax - SapphireSapphireis the wax that is ideal for all blue & purple paint finishes, dark and light, and blue/purple metallics. Super Charged Colour Enhancing Carnauba Wax - GoldGold is the wax that is ideal for all yellow, gold and lemon paint finishes, dark and light, and pearls & metallics. 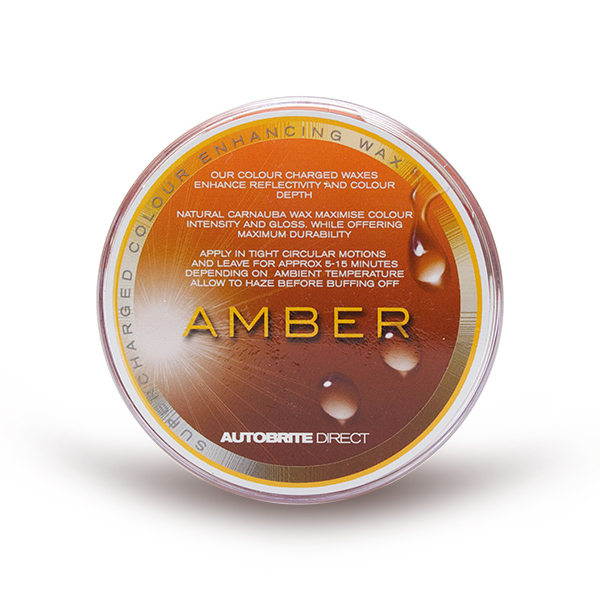 Super Charged Colour Enhancing Carnauba Wax - AmberAmber is the wax that is ideal for all orange paint finishes, dark and light, and pearls & metallics. 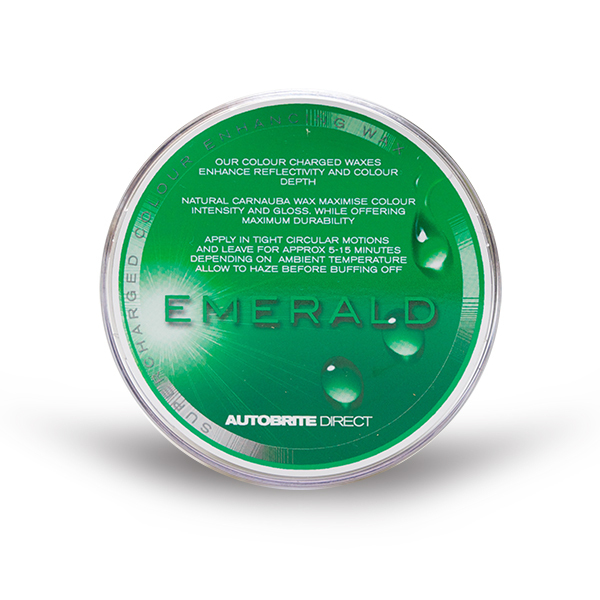 Super Charged Colour Enhancing Carnauba Wax - EmeraldEmerald is the wax that is ideal for all green paint finishes, dark and light, and green pearls & metallics. Onyx Matt/Satin Finish Enhancing Wax Onyx is a speciallity wax that will enhance the appearance and look for satin, matt and vinyl wrap finishes leaving a stunning finish. Onyx will not damage the matt surface unlike harsh chemical cleaners and wax products, and aslo Onyx has been specifically developed for the fresh matt enriched look. Berry Blast Quick Detailer Berry Blast Quick Detailer is a highly versatile product that can be used as a spray wax, waterless wash, show detailer and a clay bar lubricant and can be diluted to suit your needs. 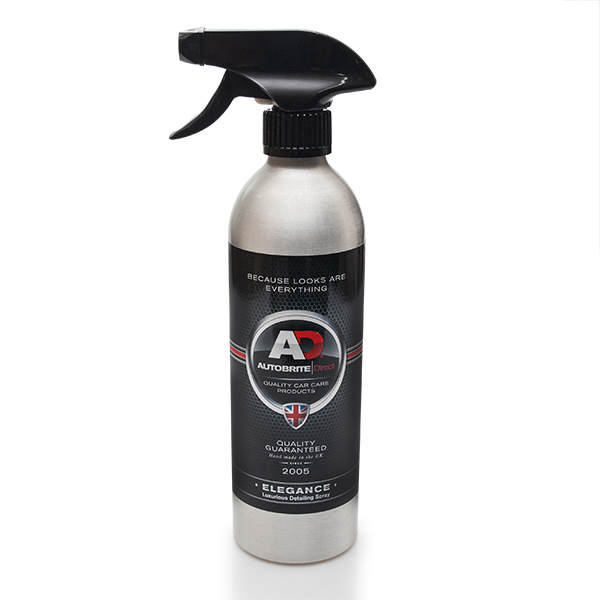 It excels as a spray wax, waterless wash, Quick Detailer and clay lubricant. Berry blast is safe to be used in direct sunlight and on all surfaces including plastic and chrome. Project 64 Project 64 has been designed to be used on your paint surface to enhance the gloss and shine and leave a slick finish with one simple wipe. It adds gloss and a stunning shine to all surfaces. 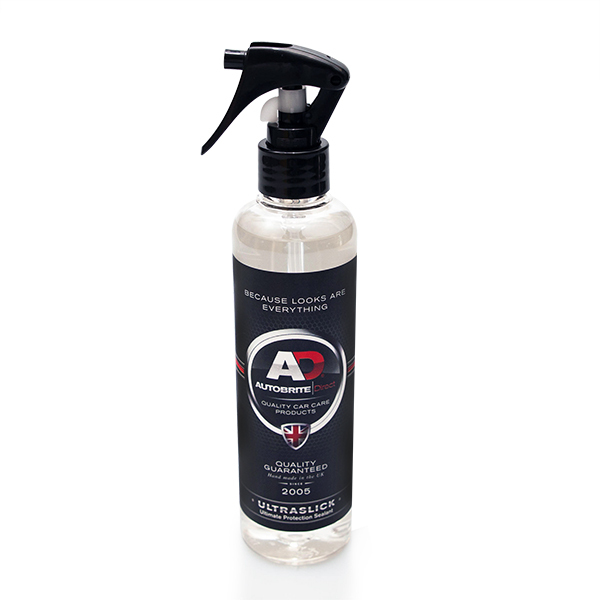 It can be used with any form of polish, glaze, sealant or wax most leaving a durable coating on the car protecting it from the harshest of elements. Elegance Elegance provides you with ultimate gloss on all paintwork surfaces with a single spray, wipe and buff. Ideal to use when the wax layer has been applied to the paint surface, then a quick and easy detailed finish with Elegance is all that is needed. Elegance can also be used on all automotive surfaces including lacquered wood, alloy wheels, glass, leather, plastic trim, interior dash and plastics and stainless steel. 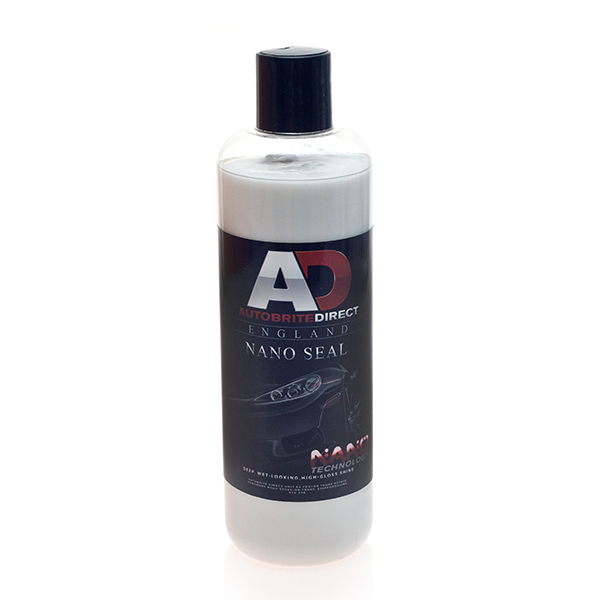 Nano Detailer Nano Detailer is for all painted surfaces, glass, plastic, chrome work etc. Nano Detailer cleans to an elegant an shine, maintains and preserves the paint work. Treated surfaces will be returned to their brilliant luster, smoothness and are protected from renewed soiling (lotus effect). Nano Seal Nano seal forms a strong bond with the paint work and is based on innovative reactive materials that have an extremely smooth, high gloss, chemical, UV radiation forming a strong paint sealant. Nano sealant improves luster to the paint and provides an extreme deep gloss. Cherry GlazeCherry glaze is AIO product that has capability of paint cleanser, glaze and wax. Cherry glaze will clean you paint, polish, restore the colour of your paintwork and protect to leave a outstanding finish with its special added waxes. Ideal for all paint finishes including metallics and can be used on all metal surfaces including bumpers, trim, chrome, and alloy wheels. 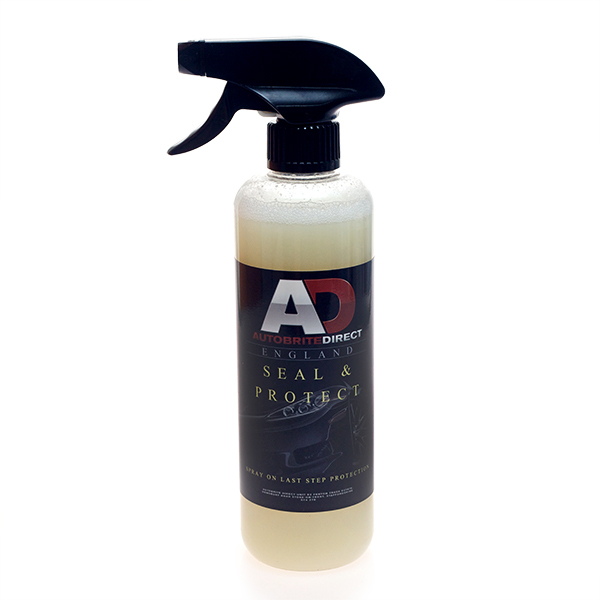 To Seal & Protect sealant To Seal & Protect is a intense synthetic liquid paint sealant that protects your paintwork and gives you a tough coat seal with a outstanding gloss and finish. It protects your paint from harmful elements while still providing a durable coating. 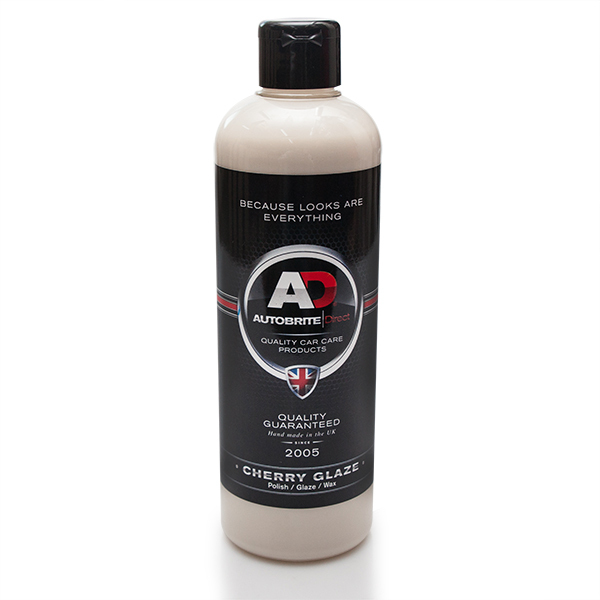 Ultraslick Glass Coat Sealant Ultraslick is a ultimate slick glass like polymer paint sealant from autobrite direct that gives you a durable & glorious shine and gloss. in seconds. A ultimate crystal paint sealant that has no cleaning or filling capabilities, a pure liquid hyper gloss paint sealant that is so easy to use. It forms a crystal barrier protection on the paint surface due to the modern technology of cross-linked polymers to protect the car from all the elements such as UV and frost.